Posted in All products, Handmade Knives. 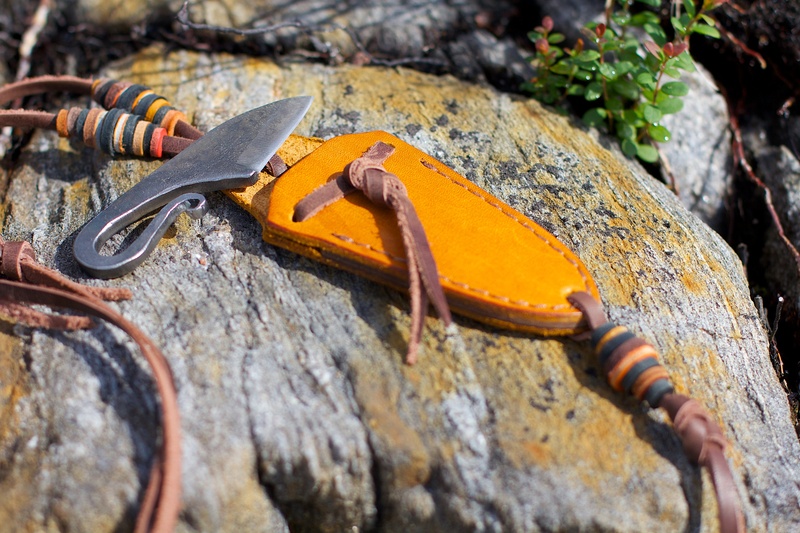 Hand-forged small knife-striker in medieval-style leather sheath. 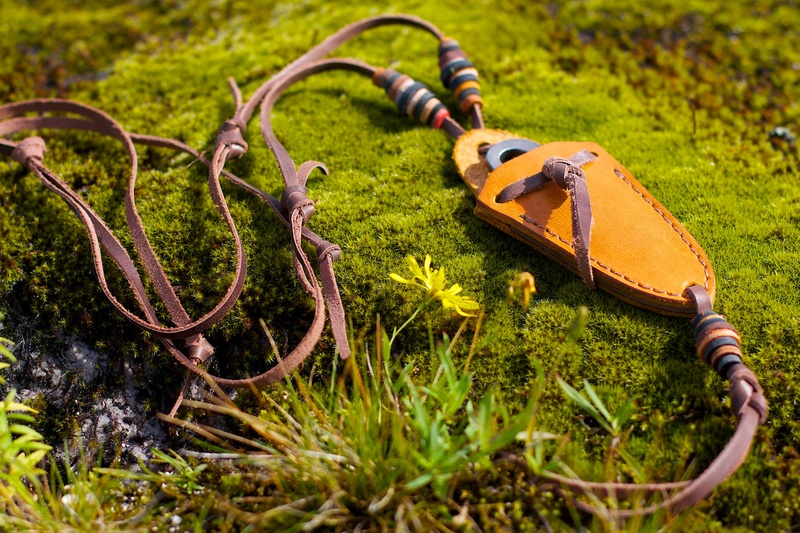 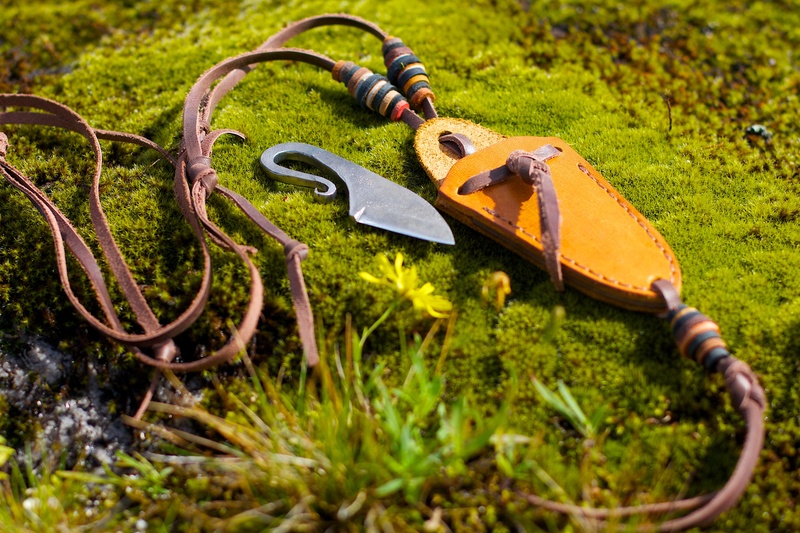 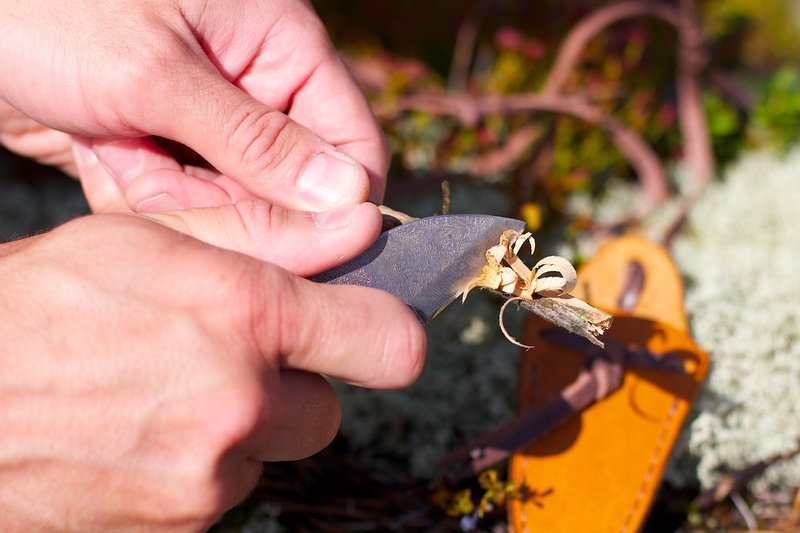 Can be used both as a knife and as striker to start fire in an old traditional way by striking flint with a striker and making tinder (char cloth) glow. 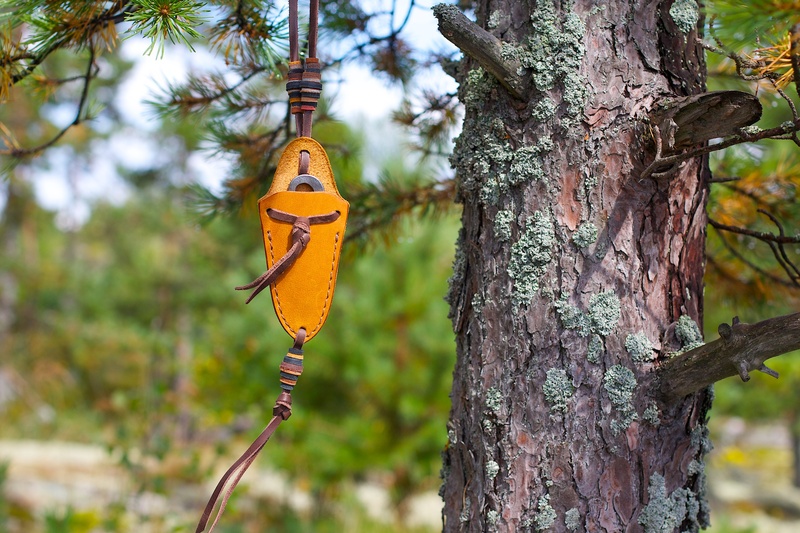 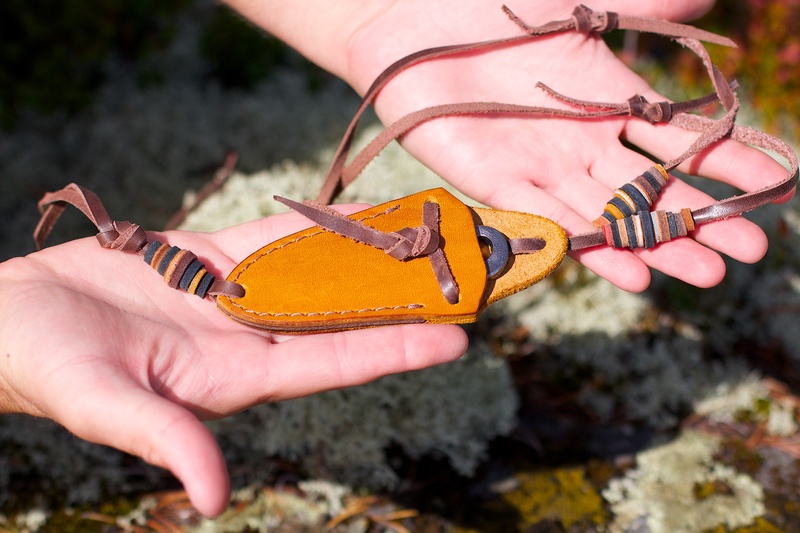 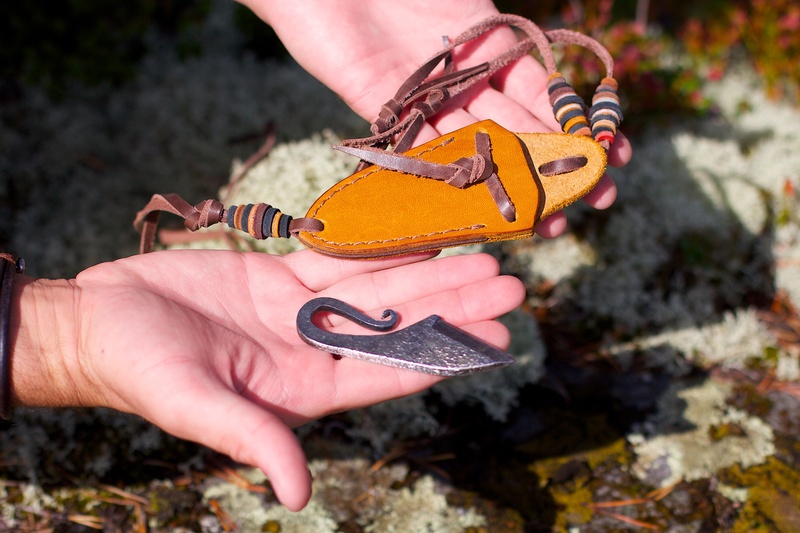 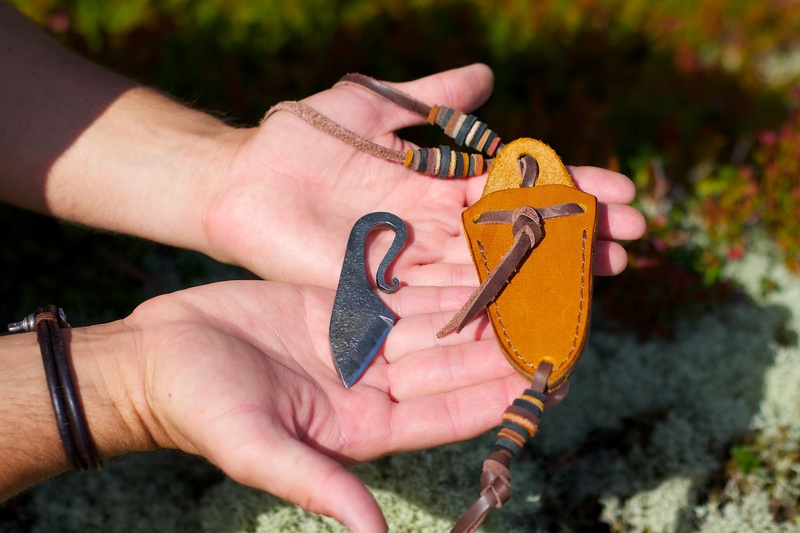 Knife is 3.6", light and can be worn in neck-hanging sheath made of genuine leather with scandinavian medieval-style decoration. 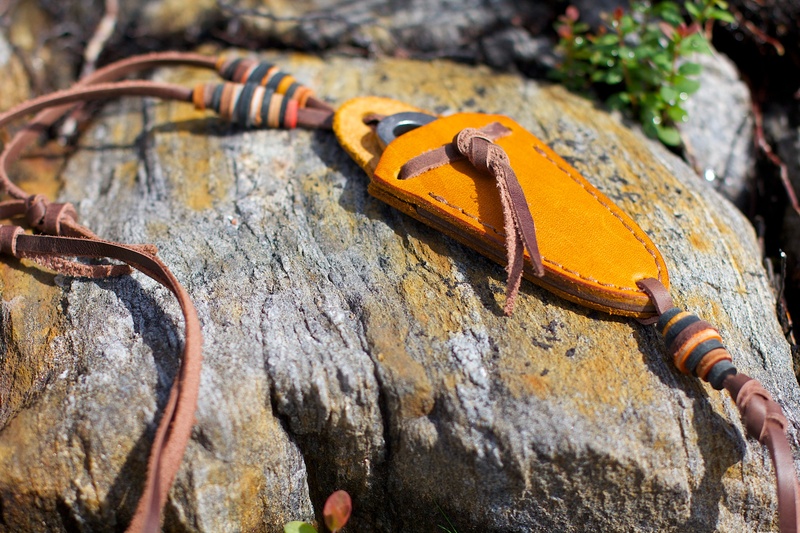 Piece of flint is inclosed in shipment.